Tiny gardens still produce an amazing amount of waste - but don't waste it, compost it! A trash can will keep it all neatly tucked away, while it rots down and turns into black gold to fertilize your plants and make your soil more porous and rich. 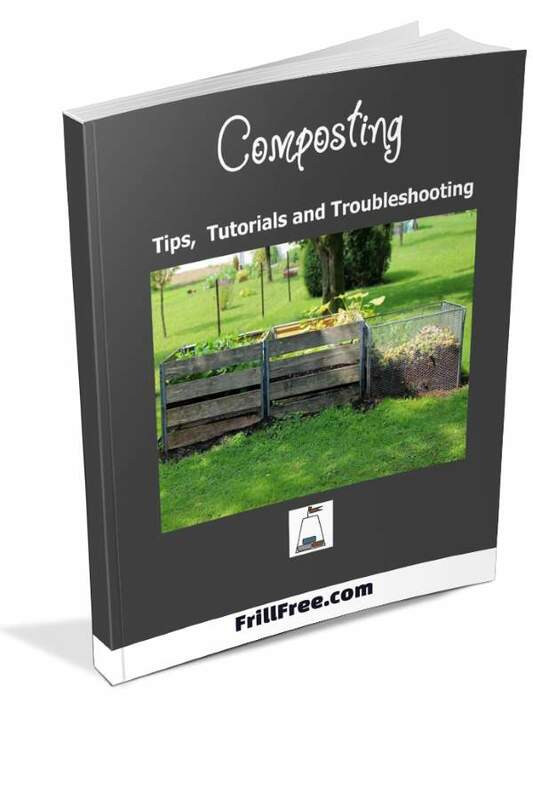 No store bought product can do what compost does. Start with a trash can - any kind will do, but plastic ones in a dark color will be less visible. 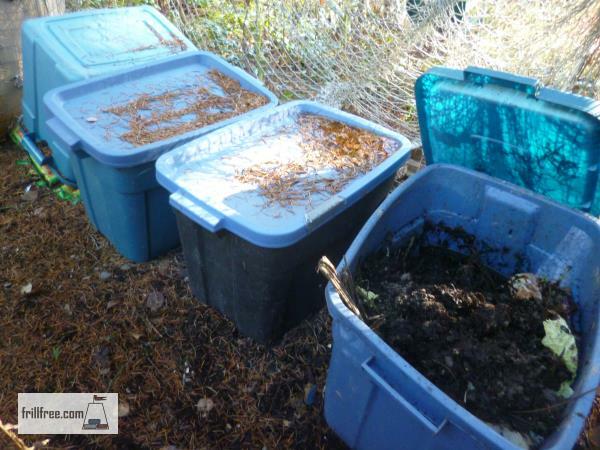 A round trash can, or a Rubbermaid tub will work just as well. If you have a few bushes or shrubs, tuck it behind those to disguise it. 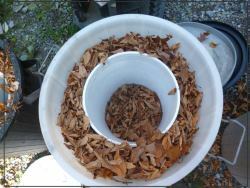 In the winter, if it's cold in the forecast, put a layer of dry fall leaves in the bottom to insulate the next part of it, a large 20 liter bucket. This is to keep the compost in one place, and believe me, it can get messy. 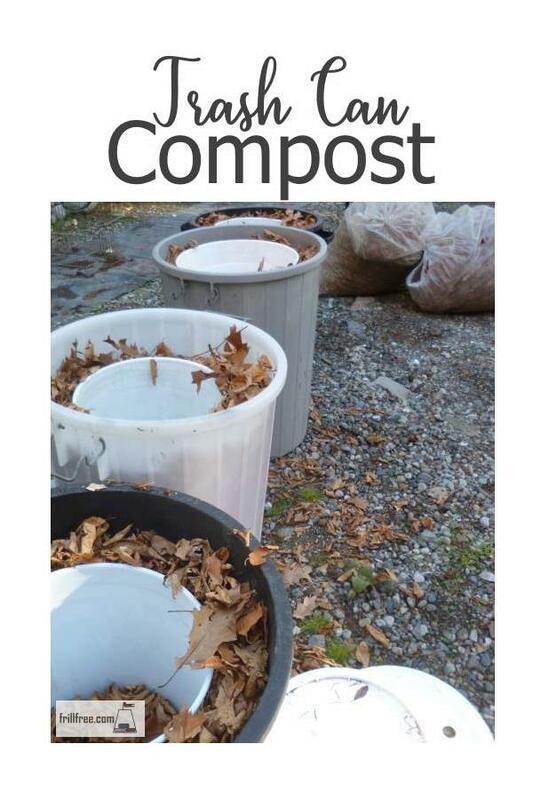 In the spring, you can easily pull the bucket out and dump it into a more convenient composting system, such as a tumbler or wire bin. Drill a few holes in the bottom of it, to let any moisture drain out. Excess moisture will not only make it incredibly heavy, but it will smell awful. The decomposing cycle depends on air to allow the microbes to survive. It's also a fallacy to put the composter in the sun - it will create its own heat just from the living and breathing microbes - extra heat will just cook them. 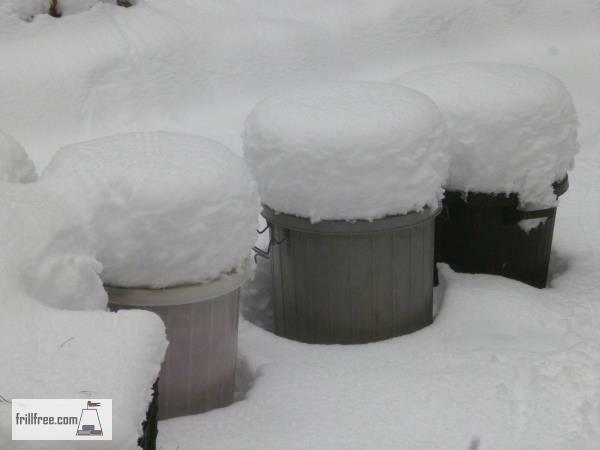 Snow, on the other hand, will insulate the compost, keeping it from freezing right through. Start adding your kitchen scraps, alternating with some soil from the garden to inoculate it with bacteria, earth worm eggs, fungus and all the other members of the micro herd. Without these, nothing will happen. The layers don't have to be perfect, but they shouldn't be too thick, in fact, ideally, you'll mix the soil and the kitchen scraps together a bit, to make it easier for the microbes to find the new delicious organic matter.